So how do passengers go about getting reimbursement? So where should passengers send their claims for reimbursement? 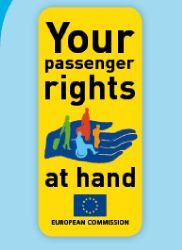 What exactly can passengers claim for? Has the ATC strike in France disrupted your travel plans? Commission for Aviation Regulation publishes "Quality of Service" results for Dublin Airport and the 2009 "Air Passenger Rights Report"
Is the current strike action in France disrupting your travel plans? Commission for Aviation Regulation publishes further "Quality of Service" results for Dublin Airport and the half-yearly report "Air Passenger Rights"